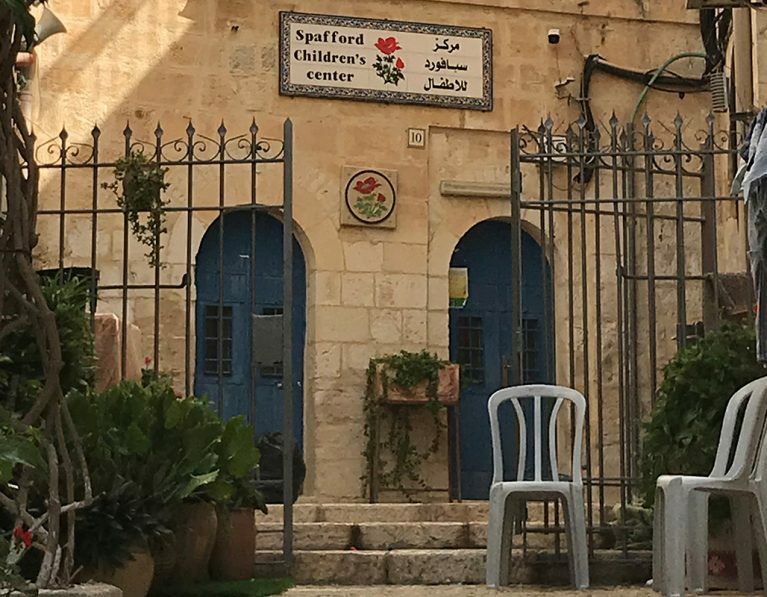 The Spafford Children’s Center is located in the Old City in East Jerusalem, and also runs medical outreach programs in areas of the West Bank. The Spafford Children’s Center was founded by American woman Bertha Spafford Vester in 1925. Bertha and her sister Grace came with their parents to Jerusalem from Chicago at a young age after their family suffered tragic losses. Bertha’s parents had started a handicraft school for girls. In 1925 they started a Baby Home for abandoned children that later became a 60-bed children’s hospital. At this time it was the only children’s hospital in the Old City of Jerusalem and served all of East Jerusalem and the West Bank. Bertha continued the philanthropic work of her parents and their ‘American Colony’ in the Old City. In 1967, when Israel occupied the West Bank and East Jerusalem it was decided that the needs of the local people could best be served by focusing on preventive medicine. The hospital was renamed the Spafford Children’s Center, and operated as an outpatient medical clinic for sick children, an ante-natal clinic and an infant welfare department to monitor healthy babies for development, weighing and vaccinations. The Spafford Children’s Center is still located in the original American Colony home and is run as a not-for-profit organisation continuing its work to help children in need regardless of race, religion or cultural background. The Center is still supported by the descendants of Bertha Spafford, and some of the members of the charity’s board of trustees are the great-grandchildren of Horatio and Anna Spafford. What does the Spafford Children's Center do? Lack of progress towards peace in Israel and the Occupied Palestinian Territories aggravates the stress and trauma felt by families of the region. Innocent children, caught up in the conflict, experience violence and discrimination, as well as isolation from friends and family because of Israel’s Separation Wall and travel restrictions between East Jerusalem and the West Bank. The Spafford Children’s Center has a holistic approach to the health of affected children that involves medical, psychological and social work, as well as educational practitioners in the diagnosis of each child’s health and emotional problems. The schooling of these children has also suffered and the Center helps them with remedial education classes to bring them back into the education system, along with speech and play therapy, and cultural, sporting and artistic activities. The Center also operates medical outreach programs in the West Bank for patients who are isolated east of Israel’s Separation Wall. 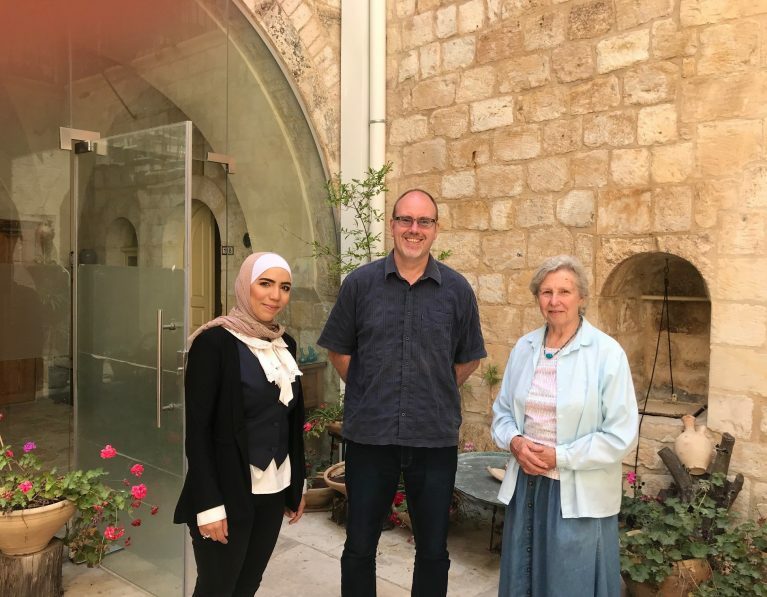 Anglican Overseas Aid first began supporting the Spafford Center in 2009 after being approached by members of the Australian public who were committed to supporting vulnerable children in Jerusalem. Anglican Overseas Aid has been impressed with the dedicated work of the Spafford Center and remains committed to funding these life-changing programs for children. The Spafford Children’s Center works with vulnerable and disadvantaged children who are often traumatised by conflict and war. Often such children withdraw and suffer from poor linguistic development and communication skills, which affects their ongoing development and education. The Center uses a holistic approach to child health that responds to a child’s medical, psychological, social and educational needs. Children in the special education program receive psychological testing, which enables staff to prepare individual programs of intensive treatment. These programs are often complemented with play therapy, speech therapy, social work and cultural activities. A large majority of children are re-integrated into the educational system and improve their school performance. We are particularly grateful for the very generous contributions of the Victorian Commandery of the Military and Hospitaller Order of St Lazarus of Jerusalem. It is through their kindness that this project is able to continue.